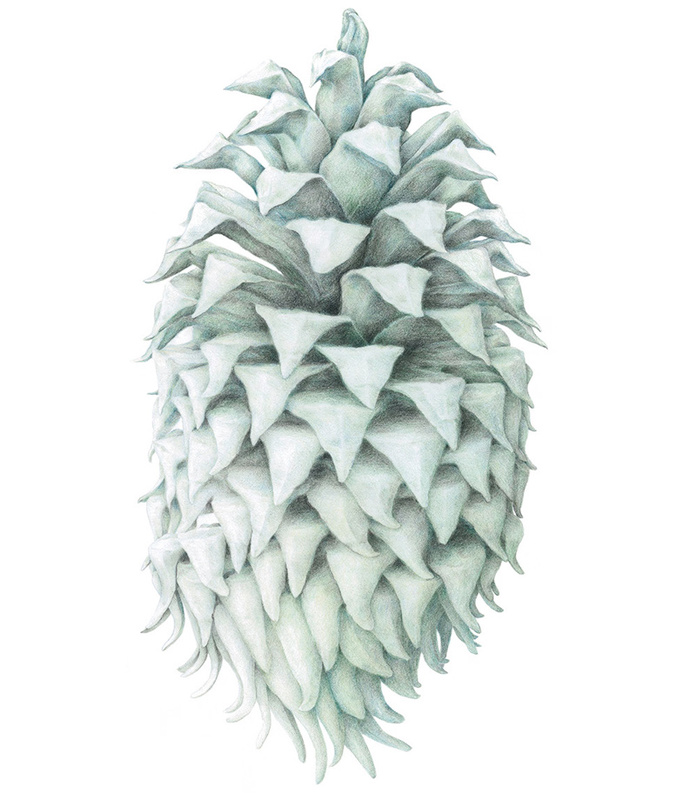 I have a multidisciplinary practice inspired by the historical and contemporary traditions of Botanical Art and Contemporary Art practice. 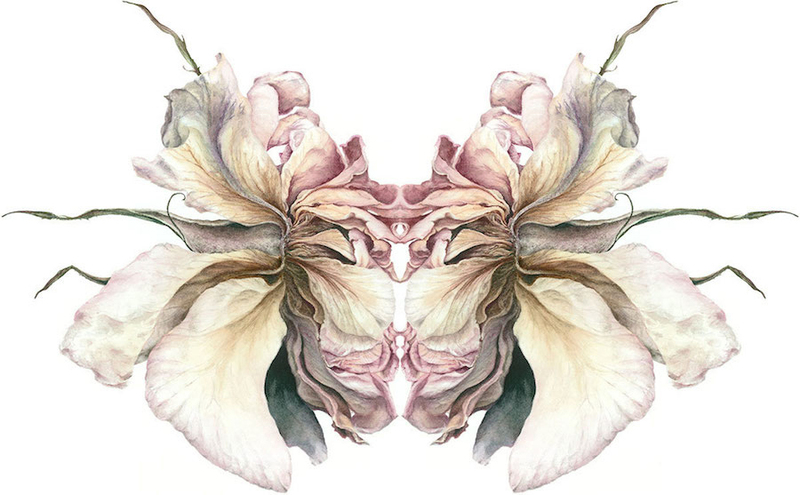 Using watercolour and graphite pencil on paper I continue my journey exploring the botanical world and its many treasures, intertwining the lattice of colour, form, narrative and symbolic potency. Recently focusing on roses and poppies, immersing my work in their strange dichotomous worlds of beauty and danger, love and loss. Julia came away from university with a first class honours degree in Fine Art and has exhibited extensively. Her practice is informed by over 20 years experience as a horticulturalist working in community projects, a passion which began when she had a studio at Hackney City Farm. Most recently running the Biodynamic Market Garden and Herb Workshops at the Blackthorn Garden in Kent working with adults with mental health issues for 14 years. Julia was awarded the ‘Elizabeth Smail Memorial Award’ in May 2018 at the FLORUM Botanical Art Exhibition, and in 2016 was awarded the the Kent Creative Award for her Art practice. Julia is a member of the ‘Bedgebury Pinetum Florilegium Society’ and the Iceni Botanical Artists group. 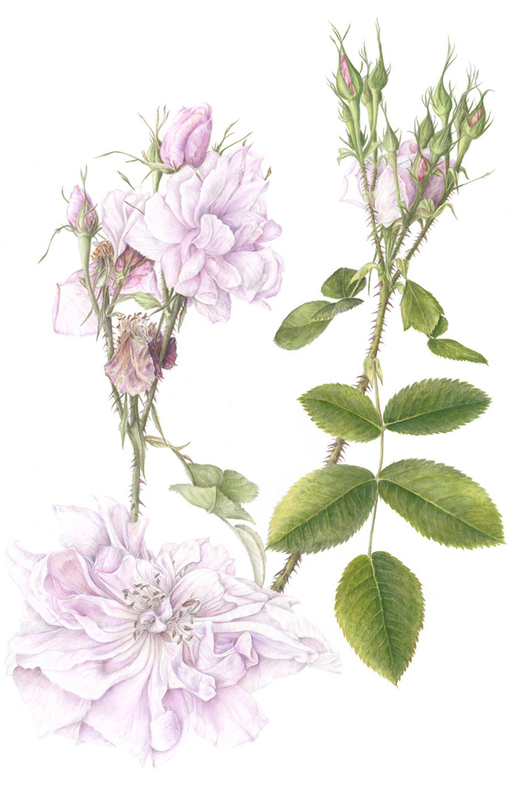 My painting of Rosa rubiginosa was selected for the ‘Botanical Art Worldwide Exhibition 2018 – In Ruskins Footsteps’, in May, a juried exhibition of artworks of plants native to the UK. Delighted to have my painting of Rosa damascena included in ‘The Illustrated College Herbal’, Plants from the Pharmacopoeia Londinensis of 1618. Published May 2018 by the Royal College of Physicians. The painting will also be exhibited with the other paintings from the book in the exhibition at the College during August 2018.